Final Fantasy XIV upcoming patch 4.1 The Legend Returns. It will add considerable amount of new content to the game, especially for those who weren't able to catch the livestream of the event. The patch will also add a relocation feature, allowing players to move their current building to a new area. An extreme version of the main story boss will also be added and an ultimate difficulty for The unending coil of bahamut. Final Fantasy XIV has become a live game of sorts that's continually changing over time with content updates and expansions. A new PvP content will also debut with the patch in the form of Rival Wings 24 vs 24. A new main scenario and side quests, including the return of hildibrand as well as a new alliance raid - return to Ivalice. The developer has revealed new screenshots from the patch at this year's Tokyo Game Show along details for its upcoming shooter game. Square Enix is currently hard at work one some of the biggest games in its history, like the hotly anticipated Final Fantasy XIV. You can check out the video below, which includes a few minutes of gameplay footage. We also have some screenshots for you to take a look at, view more at here. Some major interface changes will be introduced in Final Fantasy XIV patch 4.1. With 4.1, your active chat mode will be saved when you log out and back in again. The update is set to launch in October. 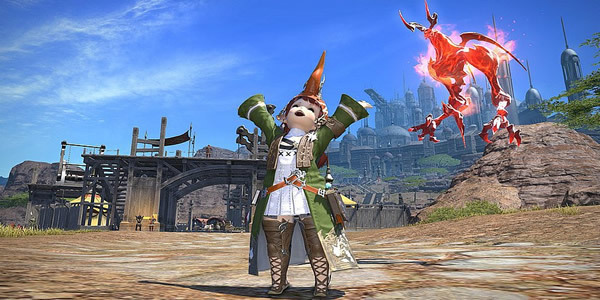 Yoshida revealed new content that will be headed to the game with its upcoming Patch 4.1, The Legend Returns, which will launch early this October. It is highly recommended to buy Final Fantasy XIV Gil from FFXIV4Gil.